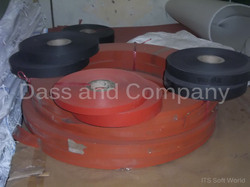 We are instrumental in offering an el of Red Vulcanized Fibre Coil for automatic punching of components. 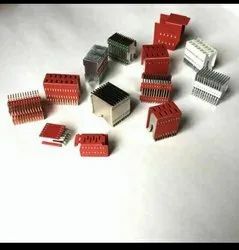 Moreover, these are highly demanded in the market for making of MCB/MCCB other electrical components. Vulcanized Fibre is a hard, durable, chemically pure cellulose product that contains no resin or bonding agents. It offers flexibility, impact resistance, high tear strength and a smooth, abrasion resistant surface. It can be machined, punched, slit, threaded, formed, molded and wound into tubes for literally countless applications. 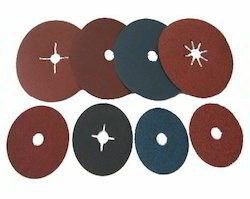 Since the inception of our company, we are engaged in offering the best quality of Abrasive Vulcanized Fibre. The offered products are known for their durability, compact design, thermal stability, high functionality and perfect finish. By following total quality management, the quality of these products is never compromised at our end. 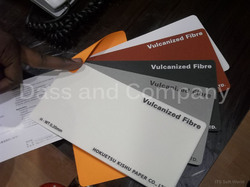 We are able to manufacture a complete range of Vulcanized Fibre to our respected clients. 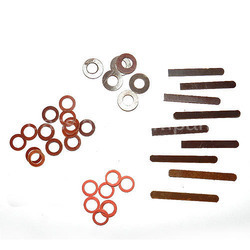 The offered range is developed by reliable vendors, who guarantee to make use of high-quality raw materials and innovative methods & techniques. In addition to this, the offered product is widely applicable in chemical, petrochemical, pharmaceutical, cosmetics and many other related business institutions. Slitted Vulcanized Fibre in precision width from 5mm width to any width is available in various thicknesses. 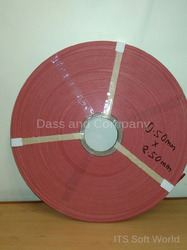 Used for MCB/MCCB/Washers, and other components of Red fibre.